Great class with a great instructor - our own Marsha Tyson. Make something quick and cute! 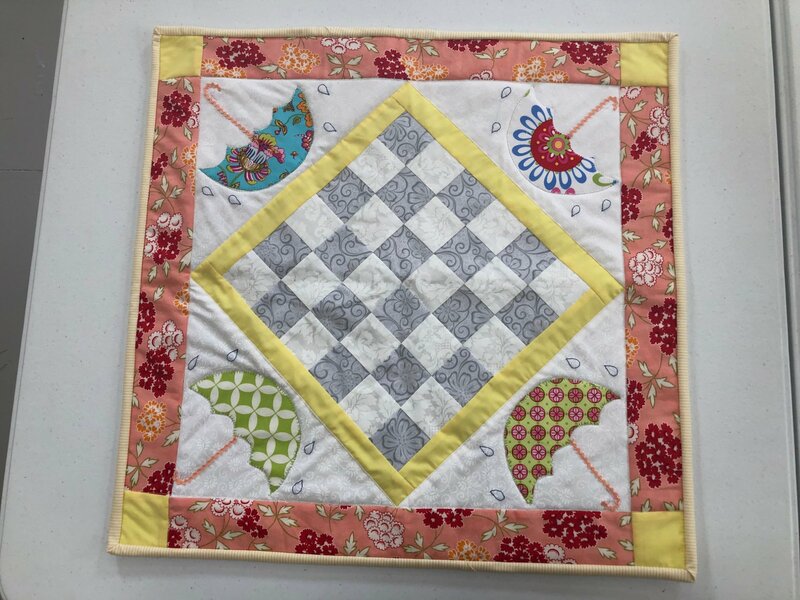 This seasonal table topper from Kimberbell showcases simple piecing techniques, fun appliqu?s in each corner, and darling dimensional details! The book includes 12 designs for each month of the year ? snowmen, floral bouquets, watermelon, pumpkins, and more! These small projects are perfect for a table topper or pillow.